With a chequered history, where the Left Front had ‘aligned’ with the BJP, it is impossible for the CPM cadre to adjust themselves with the Congress. The fact that the prospects of a Congress-CPM alliance in West Bengal couldn’t even reach the discussion table has apparently irked many people, including some Communists. An old comrade I met a couple of days ago was agitated at the development and blamed the Congress for being ‘inflexible, uncompromising, stubborn’. He used several other synonyms to that effect and, then rhetorically wondered if the Congress has become a B-team of the Bharatiya Janata Party (BJP), with soft Hindutva as its ideological identity! He then waxed more eloquent to say that the Grand Old Party was facing extinction. “There is no need for Narendra Modi to work towards making a “Congress-Mukt Bharat”. The Congress party, from top to bottom, is in a self-destructive mode. Despite knowing it faces oblivion, it does not want to sacrifice even a few seats to the Aam Aadmi Party (AAP) or to the Bahujan Samaj Party (BSP) or to the Communist Party Marxist (CPM). 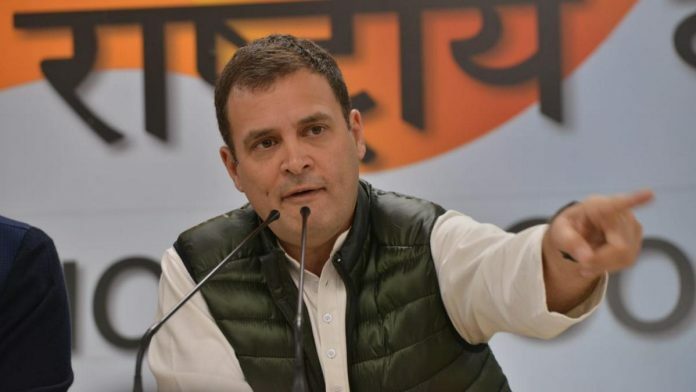 With this arrogance and adamance, the Congress is inviting electoral disaster,” he said, displaying a rather strange concern for the Congress. The CPM was in power for 34 straight years in West Bengal – from 1977 to 2000 (under Jyoti Basu) and then from 2000 to 2011 (when Buddhadeb Bhattacharjee was the chief minister). But in a political tsunami of sorts, the CPM was thrown out of power by Mamata Banerjee’s still young Trinamool Congress. Since then, the CPM has not been able to rise from the ashes. All the musclemen in Bengal went over to Mamata Banerjee’s TMC. The CPM today says that they are the victims of these ‘thugs’. So, I asked my old committed comrade: “Why, after nearly 34 years, were you so hated by the same electorate that elected you election after election from 1977?” I was not being sarcastic, just curious. Here was his reply: “It is all because of the Congress backing Naxals to attack the CPM cadre in the mid ’70s. Later, the musclemen also helped them do so.” He alleged many of his party comrades were murdered by “Mamata’s armed gangs backed by the Congress”. It is not, however, as simple as that. The CPM, or rather the Communists in West Bengal, have always been anti-Congress, even during Jawaharlal Nehru’s days. In 1962, when the India-China war broke out, a large number of Bengali comrades were overtly supportive of the Chinese position. The united Communist Party of India (CPI) witnessed cracks over the issue of China versus Soviet Union. The party finally split in 1964. The so-called Dange faction, led by veteran leader Shripad Amrit Dange, supported the Congress under Jawaharlal Nehru and the Soviet Union. The Ranadive faction, led by Dange’s rival B.T. Ranadive, was pro-China and opposed to both Nehru and the Congress. After the split, the Ranadive faction became the CPM and established its hegemony in West Bengal. Since then, the CPM has consistently and stridently taken an anti-Congress position. The CPM’s anti-Congressism helped the party come to power, first briefly in 1967, when Jyoti Basu became the deputy chief minister and Ajoy Mukherjee of the breakaway Bangla Congress the chief minister. The coalition collapsed as the extreme radical group in the party became Naxalites under the leadership of Charu Mazumdar, and Indira Gandhi emerged as the powerful leader at the Centre after the Congress party split in 1969. When the Congress came to power in West Bengal under the leadership of Siddharth Shankar Ray in 1972, the hostility between the CPM and the Congress took a violent turn. The Dange-led CPI supported Indira Gandhi, even during the Emergency. When the Janata Party was formed in 1977, the CPM supported it and came to power in West Bengal, which it would go on to enjoy for the next three decades. By then, the CPI had joined the CPM-led Left Front. So, all comrades were now following the anti-Congressism as a doctrine, which was formulated by Ram Manohar Lohia. So, who is really responsible for the current scenario where the CPM and the Congress are unable to enter the mahagathbandhan (grand alliance)? In 1989, the Left Front had joined hands (euphemistically described as floor management) with the BJP to corner Rajiv Gandhi and the Congress on the issue of Bofors. And again in 2008, the ‘Saffrons’ and the ‘Reds’ came together to oppose the Indo-US nuclear deal. But the loser in the alliance game was the Left. In 2004, the Left Front had 61 MPs. In 2009, that number came down to 32. By the time the 2014 Lok Sabha election results were out, the Left Front’s strength had fallen to 12. With this chequered history, it is impossible for the CPM cadre to adjust themselves with the Congress. But somehow, they came together in the 2016 assembly election with an aim to defeat their common enemy, Mamata Banerjee. But the CPM-Congress alliance in the state did not help the Left. And now, the CPM considers the Trinamool Congress its enemy number one in West Bengal. For the Congress, Modi-led BJP is the main target. Now, in the Lok Sabha election, the fight is at the Centre, not the state. Mamata Banerjee and the Congress are both out to defeat Narendra Modi. But the Congress also wants to defeat the Trinamool. And the CPM wants to defeat all of them. It presents a complex political algebra, where all four parties are against each other. For the CPM-led Left Front, it is not possible to be a part of the mahagathbandhan wherein the Congress is a major member. Mamata Banerjee too cannot join the grand alliance as she herself harbours prime ministerial ambitions. Another complicated contradiction is Kerala, where the CPM’s main rival is the Congress. Therefore, at the national level, the Congress-CPM alliance would give confusing signals to the cadre. And that’s why the CPM prefers to go it alone. The committed comrade could not solve this riddle and hence preferred to blame the Congress for not being flexible and compromising. All opposition parties want a ‘Congress-mukt’ polity and yet want Rahul Gandhi to take the lead in establishing the mahagathbandhan. For the Congress, with such friends or partners, there is no need for an enemy.